The way your customers feel about your organization, and the way they purchase items from your brick-and-mortar or online store is strongly impacted by your order fulfillment customer service. The order fulfillment process deals with all the responsibilities of an organization from the point of a customer’s order being received, to delivering the finished goods to their doorstep. If you implement the right strategies, you will be able to fulfill their demand on time, and thereby attract new customers, while retaining loyal ones. Performance order fulfillment metrics can help you track different data dealing with your inventory, to help you provide the best communication and services to your customers. If you’re ready to boost your e-commerce customer satisfaction rate, here’s what you need to know about customer order fulfillment metrics. As mentioned, customer satisfaction in e-business relies heavily on the quality of your order fulfillment processes. You should take steps to ensure that every aspect of your supply chain is optimized (receiving orders, processing, picking, packing, inventory management, shipping/deliveries). E-commerce fulfillment duties are labor-intensive and costly, and an organization may need larger warehouse storage and technology to keep up with customer demand. 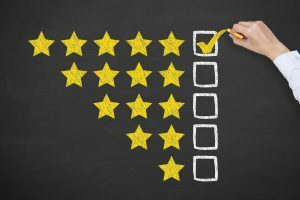 If you fall short in these areas, you will face the risk of losing customers who are unsatisfied with your businesses, and negative reviews which can tarnish your image for years. But thanks to new technology, you don’t have to miss a beat with your processes. Metrics can help you understand what is happening at every stage of your operations, so you can meet customer demand, optimize your solutions, and ultimately, increase your revenue. Here are perfect order fulfillment metrics that will boost customer satisfaction. Customer demands are higher than they have ever been. Many online shoppers expect two-day shipping options as the norm, so retailers need to implement same-day order processing. If you miss cut-off times for carrier pickups, it will add an extra day for delivery. Although you cannot always control shipping times, you can control how fast you process orders and prepare them for delivery. You should always strive for an accuracy rate of 100 percent, but that means you will need to fulfill ever order that your customers place. Unfortunately, errors like mislabeled SKUs, picking the wrong SKU from product lines, packing incorrect quantities, stockouts, and more can reduce the accuracy rate. Every incorrectly filled order increases the risk of customer dissatisfaction, as customers will be frustrated to receive the wrong items or having them arrive late due to seller mistakes. By monitoring fulfillment accuracy rates regularly, you can quickly find solutions to make the process smoother. Product fulfillment accuracy is measured with this formula: Total number of accurately filled orders ÷ total number of orders shipped during a set period. Your recorded inventory should reflect your physical inventory, but with constant shipping and receiving, especially during peak seasons, these numbers can be hard to track. If your inventory accuracy is not optimized, you should find ways to improve it. Discrepancies can lead to back orders when a customer orders an item that shows it is in stock, only to find it is unavailable. Customers expect to have information on expected delivery dates and shipment updates once they order a product from your online store. This information puts customers at ease, so if you can provide tracking information as soon as possible with timely updates, you will increase customer satisfaction. Part of having a successful fulfilment strategy is ensuring successful product returns if a customer changes their mind or has an issue with a product. A proper returns system can create loyal customers, while a poor returns process can cost you repeat business. Ensuring a smooth returns process for customers is your second chance to prove yourself to them and win them back. Also known as shipping cost per order, this metric shows how much it costs your business to deliver each package to the customer. Keeping this metric as low as possible is imperative, as it increases your profitability. Lower costs for transportation means higher savings, which can be transferred to provide lower priced goods to please customers. If you want to delight customers, lower prices go far. Transportation cost per package is measured with the following formula: Total transportation cost during a period ÷ total number of completed deliveries during the period. It can be time consuming and overwhelming to measure all these metrics on your own, on top of optimizing all your other processes, so instead of wasting precious time and resources, you should seek help from an outsourced provider. Getting help from a third-party logistics partner (3PL) is worth the investment, as optimized order fulfillment boosts customer experience and loyalty. If managed the right way, you and your 3PL provider can provide customers with convenience and a positive shopping experience. At APS Fulfillment, Inc., we prove value to our clients by providing the most dependable, effective order fulfillment services possible, every day. We are an experienced e-commerce order fulfillment company that can provide advice on e-commerce shipping processes and we offer our clients a variety of hands-on services. Our services include product fulfillment, direct mail marketing, fulfillment solutions, and fulfillment markets. We also use the best quality software systems to manage your warehouse, so if you’re looking for the right company, look no further than APS Fulfillment, Inc. You can contact us by e-mail at [email protected] or by phone at (954) 582-7450.